The newly relaunched Newburgh Transportation Advisory Committee is keen to promote a healthier, safer and more walkable city. In that spirit, we are hosting a free movie screening about an extraordinary individual who walked every street of New York City. The journey to better know the city where he lived and the people who lived in it with him took 6 years and 8000 miles. 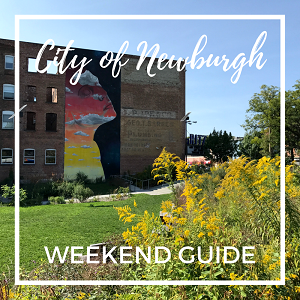 Find out how this relates to Newburgh and what exciting developments are emerging here in Newburgh- from walking groups to cross walks repainting and more. Additionally, this is a kick off to Walk to School or Park Day on Wednesday May 8th! Mark your calendars and ask a friend to walk with you and take a selfie that day. Share it with us! Doors open 5:30pm. Movie starts 6pm. Thank you to Bjorn Qorn who creates local solar paneled popcorn for providing us snacks. Water bottles and pedometers free to the first 50 people to RSVP and attend! This movie screening is a partnership effort with Newburgh Free Library, Orange County Dept of Health and Dept of Planning.